Bilbao walking tours: go local! Find hereby the Bilbao walking tours you were definitely looking for. Get ready to visit Bilbao, the largest city in the province of Biscay, Basque Country. Just concentrate in walking along the river Nervion, which meanders through the centre of the city, passing the Guggenheim Museum and Bilbao´s magnificent football stadium San Mames which has its own museum too. Ships have continued to sail up to Bilbao from as far-afield as Liverpool, and Bilbao has been a hub of transport and trade from time immemorial, as it still today. 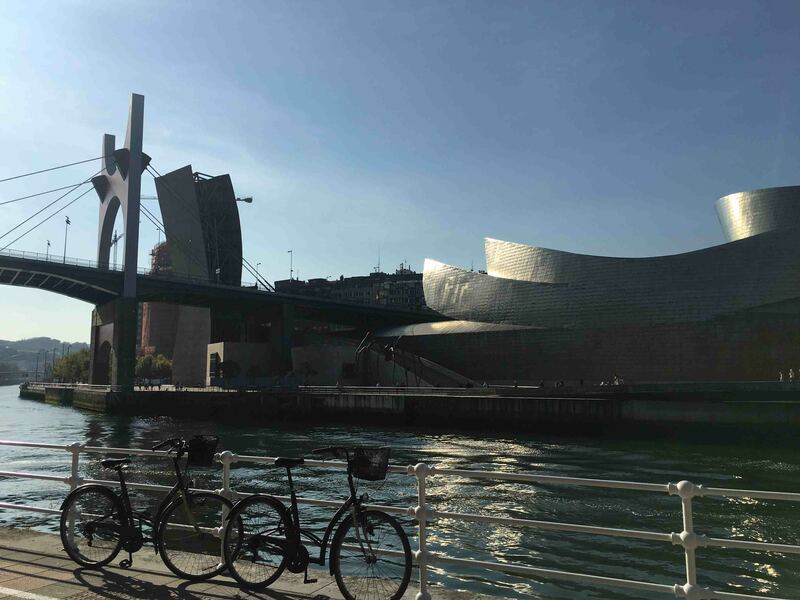 With this promising Basque stage, we provide you unforgettable private guided tours in Bilbao, with special attention to its riverside architecture and the amazing Bilbao Guggenheim museum, become in an emblem and symbol of the city. But Bilbao is far more than Frank Gehry’s world famous piece of work. In fact, there are many, many alternative top tourist attractions and points of interests in Bilbao, Spain. You will be able to discover them by means of an experienced local guide, with whom you will enjoy delving into the most cosmopolitan city of the Basque Country. We propose you to walk into the Old City, full of narrow streets of shops, restaurants, bars which blossom out into sun-filled squares where, you can relax and eat and drink the local cuisine and wines, and appreciate the contrast with the modern buildings along the riverside. Enjoy tradition and modernity in this vibrant city that has been awarded with many prizes because of its “singular urban regeneration capacity”. Go local in Bilbao, discover Bilbao with us! 1st night accommodation was in central Bilbao and was basic but “adequate.” Your tour included a visit to Bilbao football stadium and was quite outstanding when compared with Anfield and Old Trafford stadiums which have both been excellently “modernised” but “piecemeal”. Bilbao’s stadium is “stand-alone” on a wide, imposing piazza. Excellent “in-house” tour but we were left to explore the museum etc., on our own.